Discussion in 'Cars in General' started by GTPNewsWire, Apr 13, 2019. This article was published by Andrew Evans (@Famine) on April 13th, 2019 in the Car Reviews category. For reference, I had this parked on my driveway for a week and it tripled the value of the property. Worse, due to layout and land, my house is the most expensive in our street, and with mine excluded this car is worth more than any three other houses put together. SecretAgentZero, Jordan, TexRex and 2 others like this. I notice that there’s no rating for aesthetics. Let me give it one - fugly as hell. I’ve seen better looking bulldozers. Yes, it's kinda challenging to look it and I'm not sure "Tungsten over Moonbeam" does it that many favours. At least in pictures - it's a bit better in person, but I do overwhelmingly prefer the Flying Spur. Slapped and bremics like this. Good review, the cost of the options is a bit eye watering. 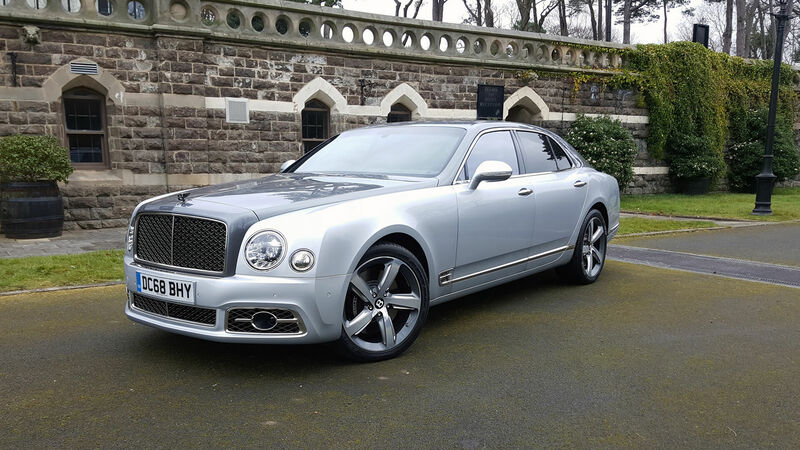 I just bought a whole car for not much more than that entertainment pack, but then the target market for this car is on a whole different spectrum of wealth than I'm on, so I don't think Bentley are likely to be too bothered about my opinion of thier prices. Could this car, parked next to my very old ST220, increase the price of my car? I mean...I think it looks stately. It's certainly not as ostentatious as a Roller. The headlights, as great as they look on the Continental GT, don't suit the Mulsanne's shape as far as I'm concerned, and I think the standard car looks a bit stubby for its other dimensions; those extra ten inches of the EWB would be a necessity for me. Slapped, SecretAgentZero and TexRex like this. Parked far from stray shopping carts (I suppose "trolleys" is more appropriate in this context), I see. Good plan. ...fugly as hell. I’ve seen better looking bulldozers. LOL - the juxtaposition of a Bentley in a Morrisons car park.